Climate change could kill of pastoralism. (Photo/IRIN). EVEN at the best of times, the people of Turkana live on the edge. Almost all of the 1.3 million inhabitants of this arid county in northwest Kenya endure extreme poverty. Malnutrition rates are among the highest in the country. Since much of the land here is unsuitable for agriculture, most of the population raises livestock, herding animals long distances to find good pasture and plentiful water. These days, both resources are in catastrophically short supply. 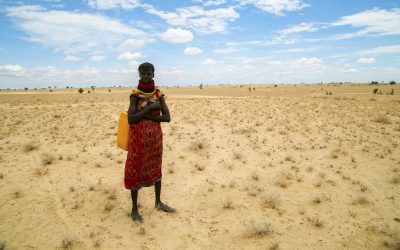 Long dry spells and occasional droughts have always been part of the rhythm of pastoralism here, but Turkana, like much of east Africa, is currently nine months into one of severest droughts in living memory. 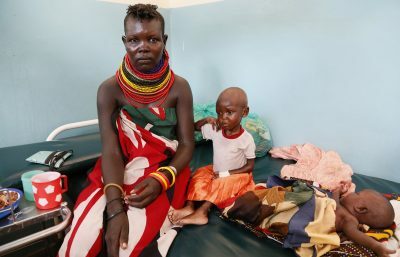 In February, when 23 of the countrys 47 counties were affected, and after the number of food insecure people had more than doubled, from 1.3 million to 2.7 million, the Kenyan government declared a national drought emergency. Since then, the situation has worsened considerably. The annual long rains, which usually fall between March and May, ended early. It was the third successive poor or failed rainy season. By August the number of food insecure Kenyans those lacking access to food sufficient to live a healthy life had risen to 3.4 million. According to a flash appeal published in early September by OCHA, the UNs humanitarian aid coordination body, half a million Kenyans fall into the category of emergency food insecurity. 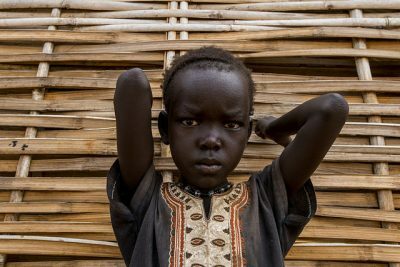 In Turkana, very critical rates of global acute malnutrition (one of the key indicators of humanitarian crises) of up to 37% or above have been recorded in some areas more than double the emergency threshold of 15%. This is largely a result of higher food prices and a reduction in milk and food supplies. Turkana is the epicentre of the drought, Chris Ajele, director of the countys ministry of pastoral economy, told IRIN in late September in Lodwar, the county capital. The drought has rendered some families destitute, he said. In Turkana, the economy revolves around pastoralism, he explained. People attain their daily requirements through the sale and consumption of livestock. In arid counties like Turkana livestock usually accounts for some 80% of a household’s income through sales of animals and milk. Livestock also represents a considerable store of wealth: Many herders with few other possessions aside from a wooden stool, a knife, and some cooking utensils own 100 or more goats and sheep, each worth around $60. Camels are worth more than 10 times as much. We have lost about half a million head of livestock [in Turkana] mostly sheep and goats, as well as cattle and some camels, Ajele said. High rates of livestock death have also been recorded in the counties of Isiolo, Laikipia, Marsabit, and Samburu. This is mainly because the animals don’t have enough to eat. According to a chart complied by the UNs Food and Agriculture Organisation, things are only going to get worse in the months to come: In the map for November 2017, almost the entire country is shaded red, indicating extreme vegetation deficit. Just last year, foraging conditions in most of the country were either normal or very good. And the longer a drought lasts, especially when coupled with over-grazing, the greater the risk that subsequent growth and reproduction of the grasses eaten by livestock will be compromised. There is strong correlation between foraging conditions and levels of human malnutrition. “Drought is a part of life for pastoralists, but whereas they used to happen every 10 years, now, because of climate change, the gap is narrowing and they are becoming unpredictable”, said Josephat Lotwel, who works on drought response in Turkana for the National Disaster Management Authority. The forecast is that this drought will continue, malnutrition will increase, and more animals will die. All the pastoralists IRIN met in Turkana said most of their herds had perished as a result of the drought. Lopido said everyone in the community was affected because getting enough food to survive was a real problem. Lopido had come to the market hoping to sell his two remaining goats, but the prices he was offered were so low he decided to hang on to them. According to OCHA, average prices of livestock in Kenya have declined by up to 40%, and the combination of low household incomes and high staple food prices has significantly reduced the livestock-to-cereals terms of trade. In other words, goats, sheep, and cows are worth far less maize than they used to be. On the road to Kerio, camel herder Ebei Lotubwa was trying to flag down cars, waving a yellow plastic cooking oil bottle cut off at the top to serve as a jug he was desperate for water. “This is the worst drought. There is no grass. It did rain last month, but they were only showers”, he said, explaining that 16 of his camels animals renowned for their ability to survive for months without drinking had died during this drought. “To find water for our animals, sometimes we have to walk for 30 kilometres. That’s why we beg water from passing cars. Not everyone stops. In the absence of prolonged drought, pastoralism generally makes better use of open rangeland environments, and delivers better food security than other agricultural systems. It delivers greater returns per hectare, for example, than ranches. And while often dismissed as geographically isolated and economically peripheral, the African Union recognises that pastoralists supply very substantial numbers of livestock to domestic, regional and international markets and therefore, make crucial but often undervalued contributions to national and regional economies in Africa. 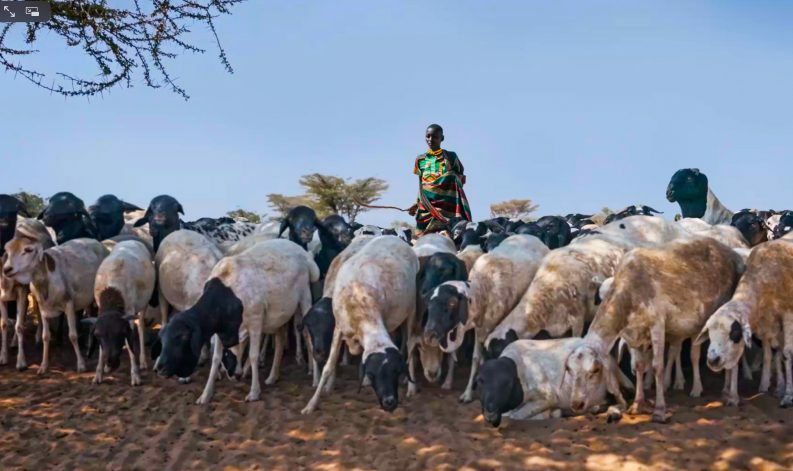 Pastoralists have long coped with even thrived on wide variations in temperature and rainfall, but they are extremely vulnerable to the harsher weather shocks brought about by climate change in three ways: exposure, sensitivity, and adaptive capacity. 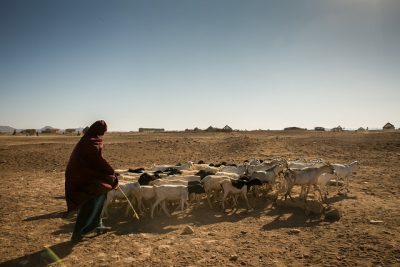 As a 2014 paper on pastoralism and climate change adaptation in northern Kenya explains, pastoralists are especially exposed to climate change because in east Africa it manifests itself in increasing temperatures and higher rainfall variability with both escalating the likelihood of more frequent and extended droughts. According to a 2007 study by the International Panel on Climate Change, Kenya is warming at a rate roughly 1.5 times the global average. Without water points like this, many more animals would die. 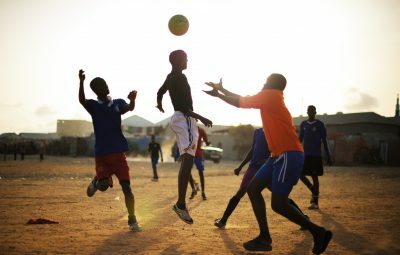 (Photo/Fredrik Lerneryd/IRIN). The papers authors add that Kenyan pastoralists are particularly sensitive because their livestock depends on the availability of water and pasture which is negatively affected by climate change. And on the third vulnerability, the paper explains that while pastoralists have developed their adaptive knowledge and skills over centuries, their options for adaption and economic assets have been limited by political and socio-economic marginalisation. According to Johnstone Moru, who advises the county government in Turkana on climate change on behalf of German consultancy firm Ambero, the colonial and successive governments [in Kenya] had no proper policies on the development of arid and semi-arid lands, including pastoralism. That’s not to say nothing at all has been done, or could be done in the future, to make pastoralism in Kenya more sustainable and resilient to climate change. 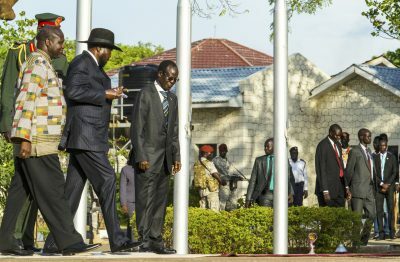 Cash transfers, an index-based insurance scheme, an off-take programme under which the government buys livestock in times of drought to give pastoralists a monetary lifeline as well as meat from the slaughtered animals, and efforts to diversify sources of income through the promotion of agro-pastoralism and the processing of animal by-products, are examples of recent investments. But there are shortcomings to many of these initiatives: The feed stores where pastoralists are supposed to spend their insurance payouts to ensure their animals survival are often far away; the off-take programme generally pays less than potential market rates; land exploited for agriculture tends to be close to rivers, blocking traditional migration routes; and a tannery near Lodwar, conceived to boost pastoralists income through the production and marketing of leather goods and launched with some fanfare in April, was entirely dormant when IRIN visited in September, with no clear timetable for a resumption of its operations. The adoption in Kenya of a new constitution in 2010 set in motion a process of political devolution and led to the creation of county governments, with the aim of improving services better suited to local needs. Turkana County’s 2016-2020 Investment Plan sets out 16 areas for quick wins in scaling up the pastoralism sector. These include exporting live animals; setting up feeding ranches as well as meat and processing plants; building more tanneries; and developing bio-gas projects.